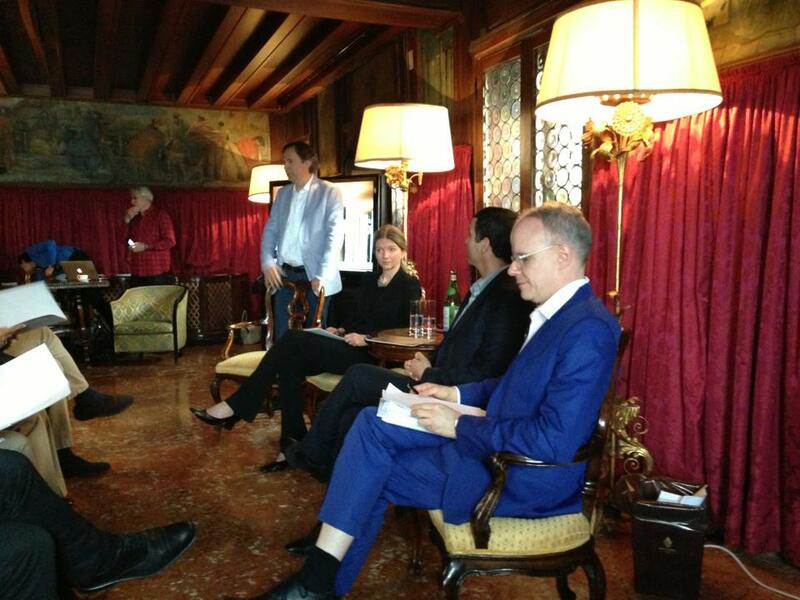 Curate Award, “a global search for curatorial talent,” co-presented by Fondazione Prada & Qatar Museums Authority, was announced this morning in Venice as thousands flood into the city for the 55th Venice Biennale. 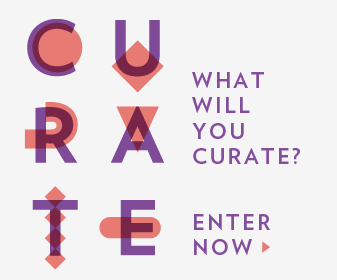 Curate is a broadly defined competition that’s open to the public to apply. Whoever submits the most compelling idea in a two-minute video will have their project become a reality! The award was announced by Jean-Paul Engelen, Head of Public Art, Qatar Museums Authority; Astrid Welter, Project Director, Fondazione Prada; Abdellah Karroum, newly appointed Director of Mathaf (Modern & Contemporary Art Museum in Doha); and Serpentine Gallery’s Hans Ulrich Obrist, who is one of the Curate judges. (L to R in the above photo)Speaking about the evolution of who’s played the role of curator over the years, Obrist hoped that the Curate Award might push it further. “There are relatively few curating prizes which allow the project to become real,” he said. Looks like this one is wide open folks. I would’ve said the sky was the limit, but if Bill Viola’s idea is any indication… Good luck curatin’! This entry was posted in Uncategorized and tagged curate award, curation, curator, fondazione prada, hans ulrich obrist, qatar museums authority. Bookmark the permalink.